Innovation and clean technologies are key components of the Government of Canada’s approach to promoting sustainable economic growth and will play a crucial role in Canada’s transformation into a low-carbon economy. Investing in research, development and demonstration (RD&D) of new clean energy technologies accelerates bringing these technologies to commercialization. Increase domestic and international collaboration to advance MI goals. “Canada is proud to be a partner in this ambitious global initiative. By working together, we will deliver real benefits for our environment while also strengthening our economy, including through the creation of more middle class jobs. In February 2018, Canada hosted the preparatory meeting for MI-3 in Ottawa. In May 2019, Canada will host MI-4, the fourth annual MI Ministerial meeting, in Vancouver. As of June 2018, Frank Des Rosiers, Assistant Deputy Minister, Innovation and Energy Technology at Natural Resources Canada will assume the role of Chair of the MI Steering Committee. Canada co-leads the Analysis and Joint Research Sub-Group, and participates in all of MI’s Innovation Challenges (ICs), co-leading both IC 4: Sustainable Biofuels and IC6: Clean Energy Materials. Canada also directly supports MI’s Secretariat, and participates in the Business and Investment Engagement Sub-Group and Ministerial Planning Team. Doubling Canada’s federal funding for clean energy research, development and demonstration (RD&D) requires a whole-of-government approach. Natural Resources Canada (NRCan) plays a leadership role in federal clean energy RD&D activities as a funder, through the Office of Energy Research and Development, and performer, through its CanmetENERGY and CanmetMATERIALS laboratories. Natural Resources Canada (NRCan) leads Canada’s response to the annual International Energy Agency Survey of Energy RD&D Expendituresand, in parallel, distributes a survey specific to MI activities to federal organizations. NRCan solicits reports on actual and planned spending from 23 federal departments, agencies and organizations and compiles the results to determine progress towards meeting the MI doubling pledge. The Government of Canada’s fiscal year (FY) runs from April 1stto March 31st. Canada’s MI baseline is C$387 million and includes all federal clean energy RD&D spending identified by survey respondents for FY 2014-15. Canada’s doubling target is C$775 million in FY 2019-20. In FY 2015-16 (MI year 1), Canada’s total federal spending on clean energy RD&D was C$479 million (24% over baseline). This increase was largely driven by capital investments in research infrastructure at Canada’s national nuclear laboratories, as well as the construction of first-of-kind large demonstration-scale facilities for the production of next-generation renewable fuels. In FY 2016-17 (MI year 2), Canada’s total federal spending on clean energy RD&D was C$438 million (13% over baseline). Funded in part through Natural Resources Canada’s Investments in Forest Industry Transformation (IFIT) program and Sustainable Development Technology Canada’s NextGen Biofuels Fund, AE Côte-Nord Bioenergy aims convert 65,000 metric tonnes of sawmill reside per year into 40 million liters of renewable fuel oil (biocrude) per year, which will be sold for heating and as refinery feedstock in Quebec and the United States. The project is a partnership between Arbec, a major eastern Canada forestry company, and Ensyn, owner of the Rapid Thermal Processing (RTP) technology used to produce the biocrude. This model is expected to be repeatable. A report on Canada’s total federal spending on clean energy RD&D in FY 2017-18 will be available in spring 2019. The report is expected to show a significant increase in spending over FY 2016-17, since important new funding for clean energy RD&D announced in Canada’s federal Budget 2016 (released in March 2016) began to be disbursed. Electric Vehicle Infrastructure Demonstrations (EVID):To date, 10 projects have been selected for C$23.8M in federal funding and an additional C$38.1M in leveraged funding from project partners. A project led by Fastcharge TCH and supported by C$8M from the EVID program, for example, will bring 34 electric vehicle charging stations, each with three charging heads, to the TransCanada Highway, connecting Ontario to the Manitoba-Saskatchewan border. Clean Energy Innovation (CEI): For the funding allocated to the CEI program in Budget 2016, 38 projects have been selected, for total federal funding of C$42.2M and an additional C$179M in leveraged funding from project partners. For example, NRCan is providing C$1.54M to the Sustainaville Geopark, a demonstration of a geothermal powered and heated industrial park, which aims to prove the viability of a geothermal reservoir through drilling and well testing and to conduct a grid connection and power plant certification. Oil and Gas Clean Tech Program (OGCT): A total of nine projects have been selected, for total federal funding of C$49.4M and an additional C$119.2M in leveraged funding from project partners. Energy Innovation Program – internal government R&D stream: Budget 2016 allocated C$31.2M over two years to support projects within the federal government which focus on: reducing greenhouse gases in Canada’s large emitting sectors and other environmental impacts; increasing productivity and competitiveness of Canadian firms; supporting federal policy and regulatory development; and Canada’s Mission Innovation commitment to advance research into transformational clean energy technology innovation. Under Budget 2016, Natural Resources Canada’s Oil and Gas Clean Tech Program received C$50 million over two years to support the development of clean oil and gas technologies in order to help develop Canada’s hydrocarbon resources in sustainable ways. Under this program, NRCan is investing up to C$10M in the Alberta Carbon Conversion Technology Centre (ACCTC), a facility with five outdoor test bays that will be used to progress innovative approaches to convert CO2 emissions into marketable products such as building materials, fuels, chemicals and plastics. 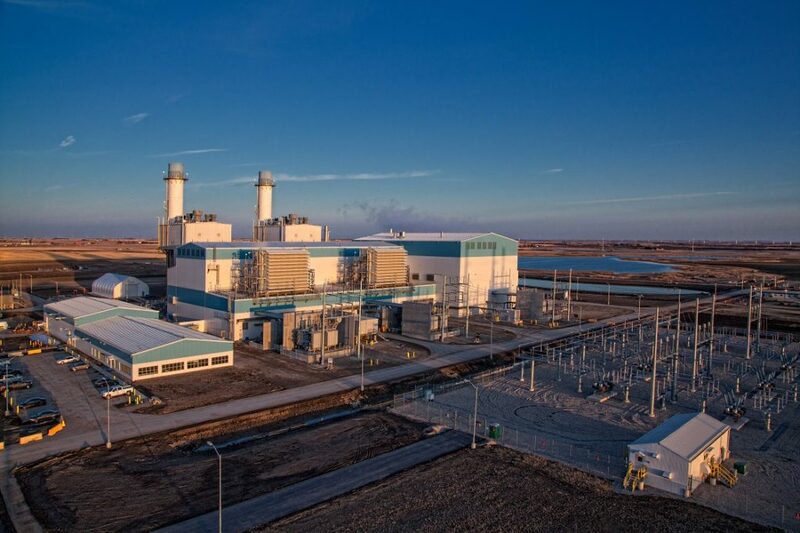 The ACCTC is located in Calgary adjacent to the Shepard Energy power plant, which enables the test bays to demonstrate technologies under real world conditions by using flue gas from the power plant. In June 2018, the first tenants of the Centre will include the five finalists of the natural gas track of the USC$20M Carbon XPRIZE competition, sponsored by US-based NRG and Canada’s Oil Sands Innovation Alliance. The Carbon XPRIZE is structured as a two-track prize, with five of the 10 Carbon XPRIZE finalists in the natural gas track testing their technologies at the ACCTC and the other five finalists in the coal track testing their technologies at the Wyoming Integrated Test Center. The five natural gas finalists include three Canadian technology developers and two American ones. USC$10M will be awarded for each track. In 2017-18, Sustainable Development Technology Canada also approved over C$93 million in new funding and established two new provincial partnerships, with the British Columbia Innovative Clean Energy Fund and Transition Énergétique Québec, to help accelerate investment and create “one-window” access for applicants developing new clean technology solutions. Clean Growth Program: C$155M over four years to advance clean technology RD&D, up to first commercial demonstration, in Canada’s natural resources sectors (energy, mining and forestry). Impact Canada Initiative– Clean Technology Stream: C$75M over four years, starting in 2017-18, to support high-impact clean technology challenges (e.g. helping Canada’s northern communities reduce their reliance on diesel; biojet fuel). Smart Grids: C$35M over four years to demonstrate key emerging smart grid technologies. Net-Zero Buildings: C$64M over eight years for RD&D to drive down costs and create market confidence in net zero construction. Remote Communities: C$59.4M over six years todemonstrate innovative clean energy solutions for northern communities and reduce reliance on diesel power. Electric Vehicle Infrastructure:C$30M over four years to demonstrate next generation electric vehicle charging technologies. Energy Innovation Program (EIP): C$52.9M per year as of 2018-19 to fund clean energy RD&D. The EIP spurs broader investment by providing direct funding to external recipients, as well as providing core funding for federal energy laboratories for public good R&D and science to inform codes and standards. In addition, Budget 2017 announced C$400 million over five years to recapitalize Sustainable Development Technology Canada’s SD Tech Fund, which will support projects across Canada to develop and demonstrate new clean technologies that promote sustainable development, including those that address environmental issues such as climate change, air quality, clean water and clean soil. In February 2018, Canada’s Budget 2018 announced an historic investment of nearly $4 billion over five years to support the next generation of Canadian researchers, including nearly $1.2 billion over five years for Canada’s granting councils, ongoing funding for Canada Research Chairs, and investments in the laboratories, equipment and infrastructure that researchers rely on every day. For example, significant funding is allocated to enhance Canada’s advanced computing and big data capabilities for researchers across the country, which will support innovation in clean energy RD&D along with several other disciplines. To support MI’s goal of encouraging private sector investment in early-stage clean energy innovation companies, Natural Resources Canada worked with organizers of the Canadian Financing Forum and GLOBE to organize an MI Clean Energy Financing Event,held March 14-15, 2018, in Vancouver, Canada. Eight clean energy companies representing Canada, the United States (US), Australia and France had an opportunity to engage with over 30 major investors from North America and Europe through dedicated pitch sessions and panels featuring active venture funds. In addition, companies from Canada, the US, the United Kingdom and Italy, representing the CCUS, biogas, smart grid, hydrogen and lithium extraction sectors had an opportunity to engage with approximately 60 investors from North America and Europe through a matchmaking session, which included over 50 pre-arranged individual meetings. This event was followed by an investor-only reception for investors to share information and leads. In addition, as announced on the margins of the One Planet Summit in December 2017, Canada is partnering with the Bill Gates-led Breakthrough Energy Coalition to pilot a new form of public/private collaboration to drive innovation in the energy technology sector. This effort will involve significant in-country research and expert advisory services in order to provide policy and regulatory recommendations to Canada for attracting early and mid-stage capital for promising innovations. The Government of Canada continues to explore opportunities for collaboration with international partners. Canada participates in all of MI’s Innovation Challenges and co-leads IC 4: Sustainable Biofuels and IC6: Clean Energy Materials. Bioenergy for the Future workshop:In November 2017, MI’s Sustainable Biofuels Innovation Challenge (IC4) joined the International Energy Agency’s (IEA’s) Renewable Energy Division to hold a one-day “Bioenergy for the Future” workshop in Ottawa, Canada. The workshop featured the rollout of the IEA Technology Roadmap for Bioenergy: Delivering Sustainable Bioenergy, included a report on the Biofuture Platform, and also served as a review of “Lessons Learned” from previous attempts at scale-up of biofuels supply and conversion technologies. The workshop was attended by over 100 participants from Canada, the US, the EU, Brazil, India and New Zealand. The joint MI/IEA workshop was linked to other biofuels events taking place in Ottawa during the same week: the international conference Scaling Up 2017: Making the Global Bioeconomy Mainstreamas well as technical meetings under the IEA Technology Collaboration Program on Direct Biomass Liquefaction. The proceedings of these events are being integrated into a report on scaling up, currently being prepared by IC4 participants. Clean Energy Materials Innovation Challenge (IC6): In early 2018, Canada made a commitment to co-lead the Clean Energy Materials Innovation Challenge with Mexico and the United States. In addition, Canada was an active participant in the clean energy materials workshop hosted in Mexico in September 2017. Carbon Capture Innovation Challenge (IC3): Over 20 Canadian experts participated in the carbon capture, use and storage (CCUS) workshop held in Houston in September 2017. Over 250 academic and industry representatives from 22 countries participated in active discussions across 13 panels to establish the current state of CCUS technology. The recently released workshop report will serve as an important signpost for future R&D activities in carbon capture technologies. In January 2018, Canada joined the United States and Mexico as co-leads of the Clean Energy Materials Innovation Challenge. Canada, Mexico and the U.S. are collaborating on ongoing trilateral workshops on carbon capture, use and storage (CCUS). In February 2017, Canada’s Prime Minister and the President of the United States issued a joint statement noting close cooperation in the area of clean energy innovation. In February 2016, NRCan, the United States Department of Energy and Mexico’s Secretaría de Energía signed a Memorandum of Understanding Concerning Climate Change and Energy Collaboration. The three Parties are engaging in discussions on developing a new North American energy action plan. This collaborative project between Canada and Mexico, expected to launch in 2018, will support demonstration of technologies in Mexico’s oil and gas sector for methane and black carbon emissions measurement, reporting, verification, and reduction. Canada will contribute C$2M through Natural Resources Canada’s Energy Innovation Program and C$7M through Environment and Climate Change Canada. The project will provide the first ever verifiable emissions measurements for black carbon and methane from flaring, building the business case for flare emissions projects globally. In December 2017, NRCan and the Chinese National Energy Administration established the Ministerial Dialogue on Clean Energy. In June 2017, NRCan renewed its agreement with the Chinese Academy of Science for Cooperation in the Sustainable Development of Natural Resources, and an Action Plan is being undertaken. In June 2017, NRCan also renewed its Memorandum of Understanding with the Chinese Ministry of Housing and Urban-Rural Development Concerning Cooperation in the Technology of Development of Eco-Cities, and an Action Plan is being implemented. In May 2017, at the inaugural meeting of the Canada-China Clean Technology Working Group, NRCan and the Chinese Ministry of Science and Technology agreed on Terms of Reference and identified technology and geographic areas for collaboration. Joint projects and initiatives are taking place on an ongoing basis. In February 2016, the Joint Declaration on Canada-China Clean Technology Cooperation was signed in Ottawa, between NRCan; Innovation, Science and Economic Development Canada; and the Chinese Ministry of Science and Technology. Identified during the inaugural meeting of the Canada-China Clean Technology Working Group in May 2017, this project will demonstrate and measure the effectiveness of Canadian emissions reduction technologies at oil and gas production facilities in China. Canada will contribute C$2M through Natural Resources Canada’s Energy Innovation Program. In February 2018, the Canada-India Ministerial Energy Dialogue Terms of Reference were signed. In September, 2016, Natural Resources Canada released a Joint Statement on Enhancing the Canada India Energy Dialogue in collaboration with India’s Ministry of Petroleum and Natural Gas and Ministry of New and Renewable Energy. In December 2017, Canada and Korea agreed on the Canada-Korea Science, Technology and Innovation cooperation Joint Action Plan, which includes clean energy technology R&D collaboration. In March 2016, NRCan signed a Memorandum of Understanding on Cooperation in Innovation and Energy Technologies with the Korean Ministry of Trade, Industry and Energy. In September 2017, Prime Ministers Trudeau and May announced the establishment of a Canada-UK Partnership on Clean Growth and Climate Change to advance clean innovation and clean and renewable energy. Announced at the 3rd MI Ministerial meeting in Malmo, Sweden in May 2018, Canada and the UK will jointly develop and launch a grand challenge focused on breakthrough smart energy systems technologies. Canada will contribute C$10M and the UK will contribute up to £6M. This initiative is a key part of the Partnership between Canada and the UK on Clean Growth and Climate Change. Canada participates alongside MI members in various multilateral fora to promote clean energy solutions, exchange information and expertise, and advance technological development. These fora include, among others, the Clean Energy Ministerial, the International Energy Agency, the Nuclear Energy Agency, and the Generation IV International Forum. In December 2016, the Government of Canada signed a Pan-Canadian Framework on Clean Growth and Climate Change with provinces and territories, which will serve as the basis for action to meet or exceed Canada’s 2030 emissions targets and transition Canada to a stronger, more resilient low-carbon economy. Accelerating innovation to support clean technologies and create jobs was a key pillar of the Framework, alongside pricing carbon pollution, complementary measures to further reduce emissions, and measures to adapt to the impacts of climate change and build resilience. The Energy and Mines Ministers’ Conference (EMMC) is an annual gathering of federal, provincial and territorial (FPT) ministers responsible for energy and mining portfolios to discuss how to support a responsible and competitive industry that contributes to the sustainable development of local communities and Canada as a whole. At these meetings, ministers discuss shared priorities for collaborative action to advance energy and mining development across the country. The EMMC is supported by an Energy Technology Working Group (ETWG) which promotes the advancement of energy technology and innovation through collaboration on energy technology RD&D. Underpinning these domestic efforts is Generation Energy, a national dialogue on Canada’s path to a low-carbon future launched in April 2017 by the Minister of Natural Resources. The dialogue invites all Canadians to share their ideas and participate in helping to define Canada’s energy future, ultimately leading to the development of an approach focused on how the federal government can work with the provinces and territories to create the affordable energy and innovative jobs Canadians want. In October 2017, Minister Carr, Natural Resources Canada, hosted a Generation Energy Forum in Winnipeg, Manitoba. This was followed in December 2017 by Minister Carr’s announcement of the creation of a Generation Energy Council to provide recommendations on how Canada can transition to a reliable, affordable, low-carbon economy in the future. The Council’s work will be informed by the takeaways from October’s Forum, as well as public consultations. The Council will prepare a report, expected to be published in summer 2018, which will inform the Government as it develops an energy policy and helps define Canada’s energy future. Through collaboration with academia, industry and other governmental partners, Natural Resources Canada (NRCan) is a performer and a funder of research, development and technology demonstrations to find innovation solutions to environmental challenges in the energy sector. Atomic Energy of Canada Limited (AECL) is a federal Crown corporation responsible for enabling nuclear science and technology at its nuclear laboratories through a government-owned, contractor-operated model. The National Research Council is a national research and technology organization that works with clients and partners to provide innovation support, strategic research, and scientific and technical services. With a focus on discovery research and innovation, the Natural Sciences and Engineering Research Council (NSERC) facilitates partnerships between Canada’s universities, colleges and industry, and the training of Canada’s next generation of scientists and engineers. As a federally-funded, arms-length organization focused on technology development and demonstration, Sustainable Development Technology Canada works to bring economically viable clean technologies closer to market. The research, development and demonstration of technologies that provide solutions covering the span of energy supply (e.g. fossil fuels, wind, bioenergy, nuclear), energy transmission (e.g. smart grid, energy storage) and energy use (e.g. buildings, transportation); as well as solutions that improve operational performance or process efficiency, while reducing energy use, waste or environmental pollution. Cost-shared projects with the private sector that often leverage provincial and territorial funding programs. Research and development activities at national laboratories and research centers.